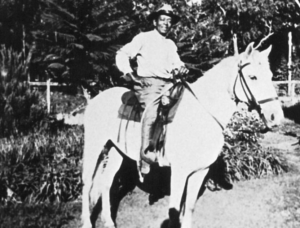 The history of Haleakala Ranch and Maui have long been intertwined. Many of today’s upcountry Maui families are descendants of those who once worked for, or with, the Ranch. On September 1, 1888, Haleakala Ranch was incorporated in the Kingdom of Hawaii during the reign of King David Kalakaua. 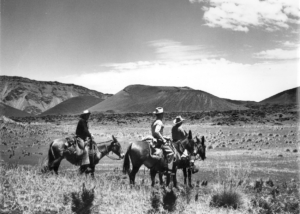 Shortly following incorporation, Henry Perrine Baldwin, co-founder of Alexander & Baldwin, became a shareholder and invested substantially in the 33,817-acre Ranch, which included Haleakala Crater. H.P. was also elected as the Ranch’s president. Shortly after, the Ranch hired its first manager, W.F. Pogue, who would be assisted by New Zealander Louis von Tempsky. Within a short time, von Tempsky assumed the management role and the Ranch opened the island’s first dairy, planted 10,000 trees, voluntarily fenced 7,000 acres as forest reserve to protect watersheds, and introduced polo to the Maui community. 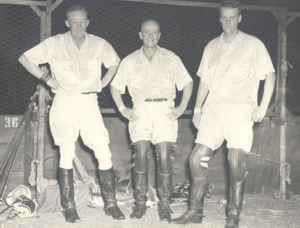 As the Ranch moved into the 20th century, Harry Baldwin became the Ranch’s president and his brother Sam succeeded von Tempsky as manager. 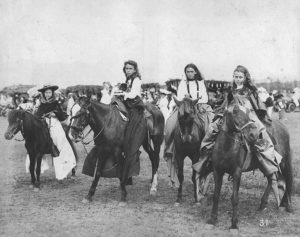 In 1925 the two consolidated ranch ownership and built it into the enduring community institution it is today. In 1927 the Baldwin brothers agreed to a land exchange that would allow the Territory of Hawaii to acquire Haleakala Crater from the Ranch to create Haleakala National Park. Because they understood the special nature of Haleakala, the family strongly supported its designation as a national park. After Sam passed away in 1950, Harry’s son-in-law, J. Walter Cameron, assumed ranch management. Eighteen years later Sam’s son, Manduke, became the president. Manduke Baldwin was known for his prowess as a cattleman, having grown up on a horse riding alongside Ranch cowboys. During the 1970s, the Ranch suffered from extended drought conditions and a tragic loss of cattle. Manduke retired in 1976 and was succeeded by his son, Peter D. Baldwin who would preside over the Ranch for nearly 25 years. Under Peter’s watch, with strong family support from his cousin Colin C. Cameron, the Ranch conveyed a conservation easement of 5,230 acres of pristine rainforest to the Nature Conservancy of Hawaii in 1983. Since then, the partnership has successfully preserved a rare habitat for many endangered native insect, plant and animal species. In 1991 the Ranch helped to establish the pioneering East Maui Watershed Partnership to protect Maui’s main source of water. The Ranch also became a partner in the Maui Research & Technology Park in Kihei. When Peter retired in 2000, the Ranch hired Willard “Buzz” Stluka, its first president from outside the Baldwin family. During his six-year tenure the Ranch became a member of Maui Cattle Co. and joined the Leeward Watershed Partnership to help protect 43,000 acres of land from Makawao to Kaupo. In 2006 another non-family professional, Don Young, was selected as president. In the years since, the Ranch has perpetuated its deep commitment to ranching while expanding its conservation work through a robust web of public and private partnerships. The Ranch has added new ventures including agreements with tourism companies like Skyline Eco Adventures, leases to agricultural businesses, and commercial real estate investments to help subsidize land stewardship programs. The Ranch’s latest conservation work includes battling invasive species such as Axis deer, gorse and Madagascan fireweed, restoring native koa trees and protecting Nene habitat on Ranch lands. The Ranch is also helping to restore the Pu’u Pahu Reserve’s 1,200-acre alpine shrub ecosystem as a buffer zone for Haleakala National Park. 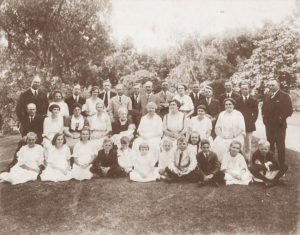 In 2013 the Ranch celebrated its 125th Anniversary. Today Haleakala Ranch remains a family-owned business still guided by the values of Harry and Sam Baldwin. 2011The Ranch set aside 5 acres of land out in Waiopai to establish a Nene refuge, which is managed by the Hawaii Department of Forestry and Wildlife.